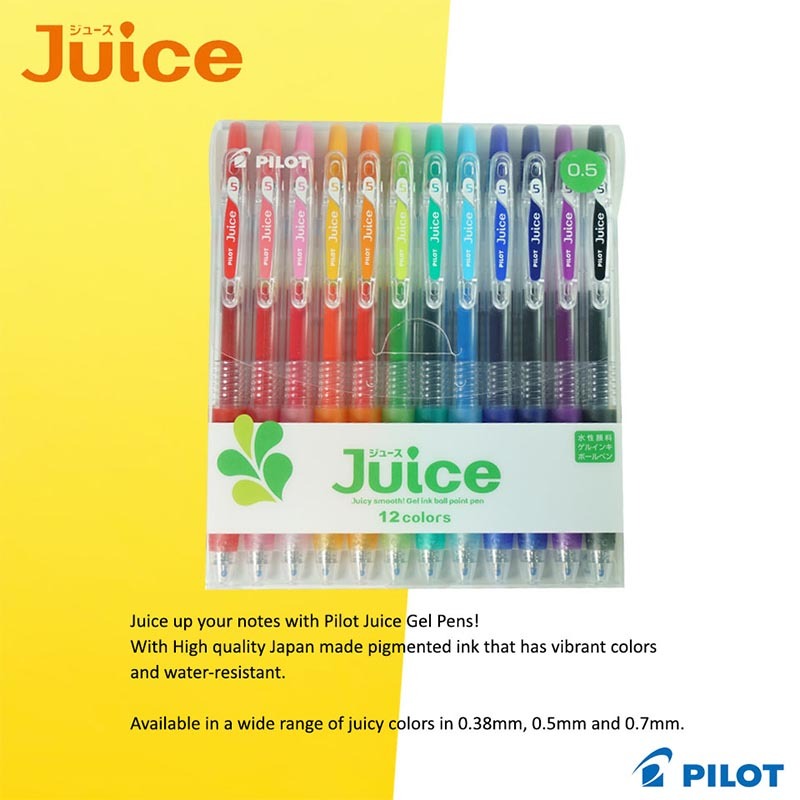 Pilot Juice Pens | Cosmos Bazar Inc.
Juice up your notes with Pilot Juice Gel Pens! 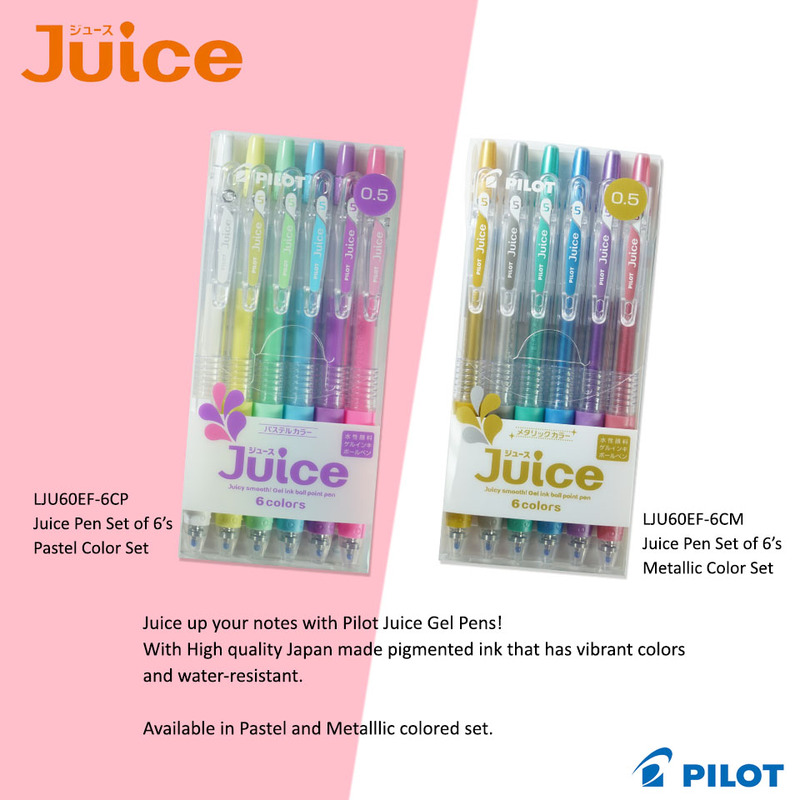 With high quality Japan made ink that are pigmented and water-resistant. Also features a sturdy spring-loaded clip that attaches to any pockets or notebooks. 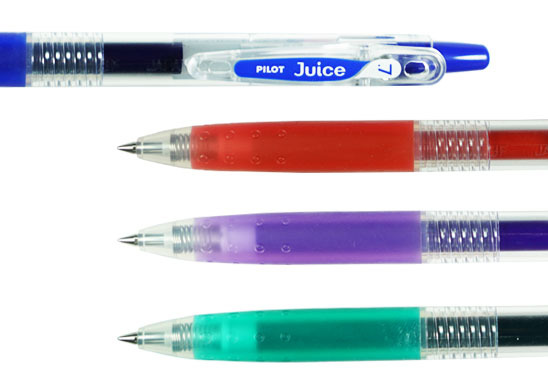 Available in a wide range of juicy colors in 0.38mm, 0.5mm and 0.7mm. Perfect for scrapbooks, planners, notes, or other crafty projects.